An evening of celebration and insights as we kick off the 2nd Annual Portland Dance Film Fest! 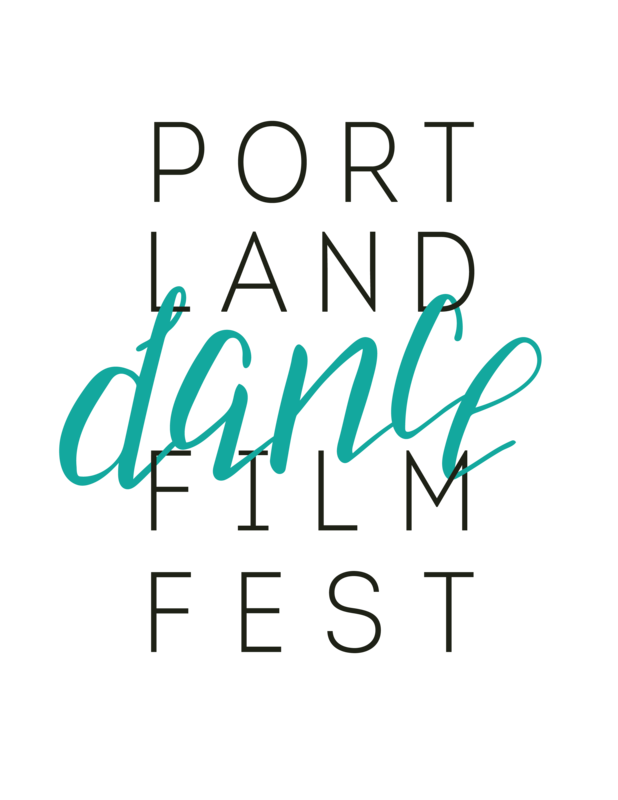 Join us at Cup & Bar in NE Portland for a taste of PDFF with the first dance for film screenings of the festival, an interactive dance for film creation with director and filmmaker Conrad “Icon” Kaczor, choreographer and dancer Jessica Zoller, and live editing by Zsuzsanna! Stay to the end and you might see yourself in the final product! Conrad “Icon” Kaczor is known as one of the most innovative Poppers that specializes in the geometric shape-shifting dance style called Tutting. He seamlessly fuses together the Popping styles of Waving, Animation, Robotics, with his Tutting. Conrad‘s versatility as a dancer, along with his creativity and extensive knowledge of Popping and Tutting, have enabled him to guest perform and teach at national music festivals, judge dance battles on both the West and East coasts, and study with respected street style innovators across the world. Conrad also performs with Heidi Duckler Dance Theater, a site-based dance company located in both Los Angeles and the Pacific Northwest. Jessica Zoller received her MFA in dance from the University of Oregon. While attending UO, Jessica was a graduate teaching fellow from 2012-2015. She earned her BFA in dance performance and choreography from Western Washington University in 2007. Professionally she has performed and collaborated with Pam Kuntz, Bellingham Repertory Dance Company, Portland Opera, Lane Hunter Dance, Lauren Edson, Wanderlust Circus, Pelu Theatre, Shannon Mockli, AWOL Dance Collective, Polaris Dance Theatre and Katie Scherman. Jessica has choreographed for Sojourn Theatre’s How to End Poverty in 90 Minutes, Relay Dance Collective, Cirque Love Love, Pacific Lutheran University, and Bellingham Repertory Dance Company. Jessica choreographed and performed in the 2018 Ten Tiny Dances in collaboration with musician Jana Crenshaw. Jessica teaches dance at Saint Mary’s Academy. Zsuzsanna Mangu is a filmmaker and award-winning video producer in Portland, Oregon. As a dancer herself, she has been passionate about filming movement, most recently aerialists, kizomba and contemporary dancers. Her documentary film, Around the Pole, that chronicles the evolution of a dancer with a troubled past, has been screened at film festivals around the country. Zsuzsanna launched her video production company, 10k Hours Media in 2015 and has been creating videos for companies and non-profits such as Mercy Corps, the Portland Water Bureau, and Legacy Health. Currently, she is working as an editor on a feature length documentary film and just got back from an Eastern European trip filming for a documentary short. 69 minutes of original, beautiful, and diverse dance for film from Brazil, France, Australia, Japan, Israel, and United States. Advisory: The film “Riot” contains violent content. Elemental is a reframing of the natural world through movement and a reframing of movement through novel environments. Madison, WI based hip-hop dancer Solomon Roller interprets beautiful Wisconsin nature through dance, a form of expression he has been developing and refining for over a decade. The original soundtrack features audio samples taken on location and molded into a composition that evokes the geography and sharpens the emotional undertones of Solomon’s movements. Through cinema, Elemental explores the versatile power of hip-hop to channel and illustrate the natural environment. Inspired by female “superheroes” Lara Croft and Nadia Comaneci. LADIA explores the limits of pain, effort and exhaustion in a contemporary female athlete. A woman and the encounter with her own shadow. A black man is killed in an altercation with a vigilant neighbor and the police. The feeling of injustice is high. Emotion engenders riot …. In the absence of words, can the body take its revenge? SHIVTA is a short dance film telling a cinematic and kinetic exploration of two lost desert wanderers. In the form of Fata-Morgana, a doubtful portal appears in the distance. Curiosity takes over and the two, as the narrative rolls forward, find themselves bewitched and possessed by a celestial fortune teller. Based on the classic Japanese novel Botchan. A group of Japanese business people attend a weekend retreat only to find they must battle through challenges to not only receive a promotion, but to survive. The Town On Notice is an experimental film based on the original stage production by Dimensions Dance Theater. Visions of Oakland, dynamic choreography, and touches of abstraction combine to show our city’s profound, unique flavor. We’re excited to announce that this years festival will include a Dance For Film & Movement MasterClass with LA-based Sarah C Prinz!!! Take her masterclass and then watch her work during PDFF Picks 2! $40 Regular / $25 for PDFF Festival Pass Holders/PDFF Filmmakers/PDFF Judges (Use code MASTERPRINZ during check out to receive discounted price. Contact portlanddancefilmfest@gmail.com if you have any questions about pricing). – A screening of Sarah’s selected works featured at Outfest, i-D, Channel 4 and more. – An in-depth dissection on the intersection between film’s pre-production and movement’s choreographic processes. – An all-levels movement workshop on the relationship between the body and language & movement and narrative. With this masterclass, we are trying to strengthen dancer’s understanding of filmmaking and filmmaker’s understanding of dance-making. An evening with the experts. Come learn the ins and outs of dance for film from artists in the industry. Conrad “Icon” Kaczor is known as one of the most innovative Poppers that specializes in the geometric shape-shifting dance style called Tutting. Conrad’s versatility as a dancer, along with his creativity and extensive knowledge of Popping and Tutting, have enabled him to guest perform and teach at national music festivals, judge dance battles on both the West and East coasts, and study with respected street style innovators across the world. Conrad also performs with Heidi Duckler Dance Theater, a site-based dance company located in both Los Angeles and the Pacific Northwest. As a filmmaker, Conrad’s passion for dance is reflected in his collaborations and commissions with both professional dancers and dance companies alike. His short film “We’re From Here,” about three Portland dancers, toured the film festival circuit and picked up two Best Documentary awards along the way and continues to pursue and create dance documentaries. Amy Leona Havin is a Choreographer and Director from Rehovot, Israel. She began her dance training with Ohad Naharin’s Gaga Movement Language in Tel Aviv, Israel and holds a Bachelor of Fine Arts from Cornish College of the Arts in Seattle, Washington where she studied both live dance and dance film creation under Wade Madsen, Danielle Agami, and Salt Horse’s Corrie Befort. She has been granted acceptance to study under choreographers such as L-E-V’s Sharon Eyal, Kibbutz Contemporary Dance Company’s Rami Be’er, Yasmeen Godder, Shahar Binyamini, Sidra Bell, HASADNA, and more. Havin relocated to Portland in 2013, founded The Holding Project in 2015, and was awarded an artist residency with Disjecta Contemporary Art Center in 2016. She continues to make live performance, dance for film, and durational installation work. Robert Uehlin is an award-winning screendance cinematographer from Oregon. He has studied film production at Northwest Nazarene University and at the University of Oregon where he also taught. His work has been screened at the American Dance Festival, The Utah International Screendance Festival, The Northwest Screendance Exposition, the 40 North Dance Film Festival, and the Sans Souci Festival of Dance Cinema. Raven Jones is a graduate from the University of South Florida with a Bachelor of Fine Arts in Modern Dance performance and Choreography, and a minor in American Sign Language interpreting. She now lives in Portland, Oregon where she is the Founder and Artistic Director of WolfBird Dance, as well as the Founder and Project Manager of YAE! (Young Artists Empowerment) Camp. Raven has choreographed and produced multiple evening length works, which have been premiered on both the East and West coasts and internationally in Paris, France. Actively in the Portland community, she has taught Contemporary and Contemporary Floor-work classes, was the contemporary teacher for Portland’s 2017 Citywide Dance Audition, and taught workshops and classes at Manatee School for the Arts (Palmetto, FL), the University of South Florida (Tampa, FL), Reed College (Portland, OR), and St. Mary’s Academy (Portland, OR). She has also been the residency recipient of the 2017 Center Space Resistance residency (Portland, OR) as well as the 2017 residency recipient at New Expressive Works (Portland, OR). Growing up, Raven was heavily involved in professional and community theatre. Using this musical theatre influence, she has spent the last five years developing a unique dance-theatre style that has been reviewed as “unself-conscious,” “intelligent,” and “fierce.” Raven is a collaborative choreographer, working collectively with multi-media Artists to produce thought provoking work that strongly focuses on developing movement through personal memories and human experience. In 2018, on behalf of WolfBird, Raven was the Open Meadows Foundation grant recipient for the development of her outreach an empowerment advocacy program YAE! (Young Artists Empowerment) Camp. 76 minutes of original, beautiful, and diverse dance for film from, France, Russia, United Kingdom, Cuba, Australia, and United States. At a Christmas diner where connections between people is impossible, Salla is trying to make them move.. In 2017 Jake Russell created the French project “Le Chorégrave”. With a team of artists he writes, directs and shoots short one shot films where the camera, dance and live music all combine to create an artistic performance that falls into no category. Each film is shot in carefully selected venues where sound is recorded live during each performance, with no cues to direct the dancers, and no editing after the shoot. Filmed on location in the Eureka dunes of Death Valley California, “our last aria” follows the journey of two figures traversing a kinetic and emotional landscape in the heart of a desert wilderness. ‘Taste of Night’ is a dance short film in the style of ironic noir is the fantastic story that happened at the ball. No one knows what Fate has prepared for him, and how the day will end. A brilliant, handsome man meets a young girl at the party. He tries to seduce her. Is it possible if the girl is an extraordinary creature? This film is a part of project that aimed to modify stereotyped impression of tango as a dance in red dress with rose between teeth that a lot of people still have. ‘Thread a Stair’ sees a disoriented dancer thread his way out of a never ending staircase. The choreography takes inspiration from a family of movements in breakin’ (breakdance) known as threads to create stair specific sequences, steps and concepts. A result of close collaboration with both music producer and animator, Thread a Stair is a coherent piece of confusing art that shines a light on the intricacies and playful nature of this dance. A man in white-winged angel shoes in an infinite black space is awakened by the strains of Franz Liszt’s “Totentanz” (“The Dance of the Dead”). He gets multiplied and manipulated through all the dimensions of infinite black. None of the incarnations of his body have free will as he is thrown, bounced, split, squelched, flopped, frozen, and slid through multitudinous geometries by an unknown force, finally to be returned to his original form and spat out onto the junk heap of history. Could the insistent music be a god manipulating him in this afterlife? Would a breakout lead him to a better world or just another incarnation of himself as a puppet? A Guide to Breathing Underwater follows a person’s quest to find solace in his body. Using dance and gesture, shadow and light, we see him traverse through New York City, looking for his utopia. When he finds an open space overflowing with air and water: an exhale. Finally, he can be still. “Wait” is a queer film about the cyclical nature of co-dependency. It explores intimate moments in which we define our identity through another person and the dismantling required to start over. Two dancers, who also twins, explore public perceptions of twins and their internal struggle of sisterhood. 74+ minutes of original, beautiful, and diverse dance for film from Mexico, New Zealand, France, Sweden, and United States. Body of Your Dreams is a short film choreographed by Myles Thatcher and Directed by Quinn Wharton. It looks at the pressures of modern body image and fitness in the pop coated visuals of a squash court. The dancers of the Joffrey Ballet fly through the space and encounter cracks in the beautiful world when face to face with the box they live in. Triumvirate is a screendance that uses a play on gravity as a metaphor for what holds us together, grounded, and fearless. The movement takes place in a non-traditional environment, and thus creates the opportunity for the viewer to question what is ‘normal’ in this new world. The piece showcases a trio of powerful women who continually negotiate–and renegotiate–their space, relationship, and destination together. Internationally known street dancer Daniel “Dsoul’ Norwood collaborated with a dancer and filmmaker Conrad Kaczor from Portland, Oregon to create a promotional video for The Gnosis Retreat Center. It’s a place where experiences shouldn’t be corralled into labels and numbed by prescriptions out of convenience. People need the embrace of a community. Gnosis Retreat Center is a safe haven for those experiencing extreme states of consciousness. Complex relations of adversity, expressed in the context of a guerilla war. Marall follows her parents to a party and during the evening she observes the adults’ social rituals, and what happens when someone doesn’t fit in. Marall also seems to be the only one seeing the shadow that circulates inside the house.